Can it match two established rivals? City car buyers have never had it so good. With a baffling selection of dinky runarounds to choose from, how do you choose? There’s the Volkswagen Up, SEAT Mii and Skoda Citigo trio, as well as the Toyota Aygo, Peugeot 108 and Citroen C1 gunning straight for the VW Group. That's not all. There’s also the likes of the Hyundai i10, Renault Twingo, Ford Ka+ and all-new Kia Picanto. 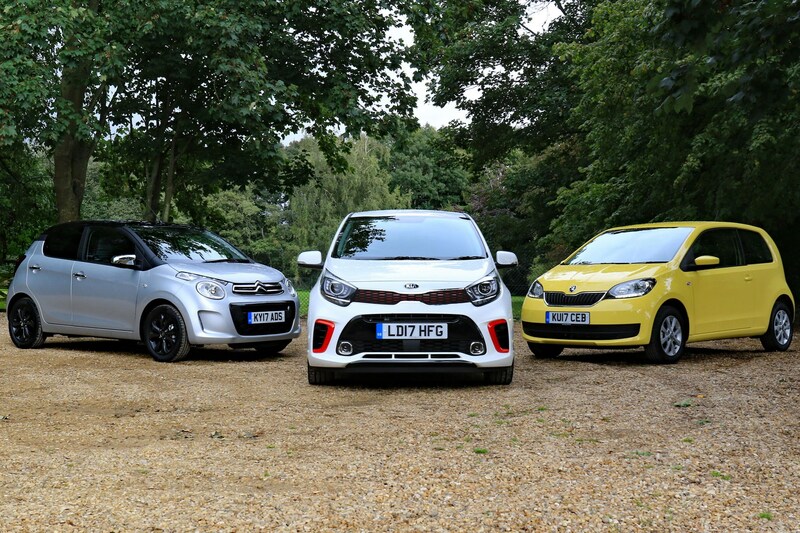 We’ve lined up the new Picanto with the updated Skoda Citigo and funky Citroen C1 to see which you should go for. How do they stack up in the style stakes? 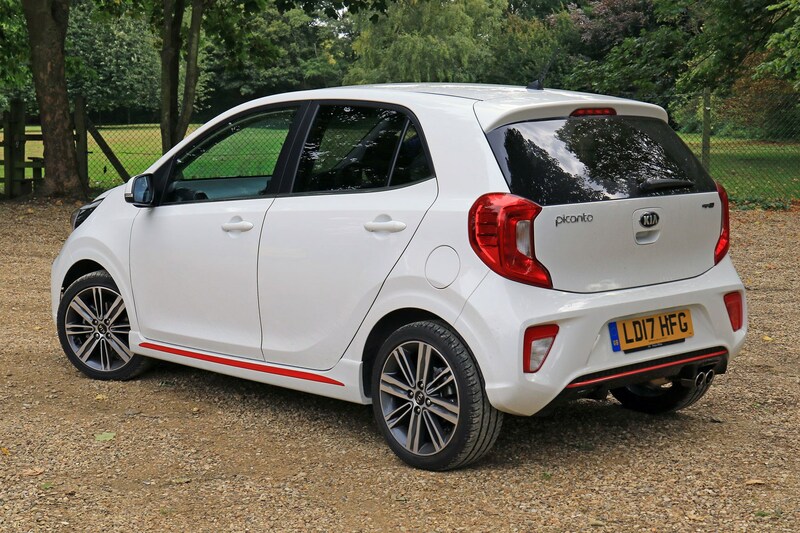 Kia Picanto – There's a whiff of short-man syndrome in aggressively-styled GT-Line trim, but it manages to look grown up and fun at the same time meaning there’s something for everyone across the range. Lower-spec models are a bit more plain to look at, but overall it’s a smart and tidy look. 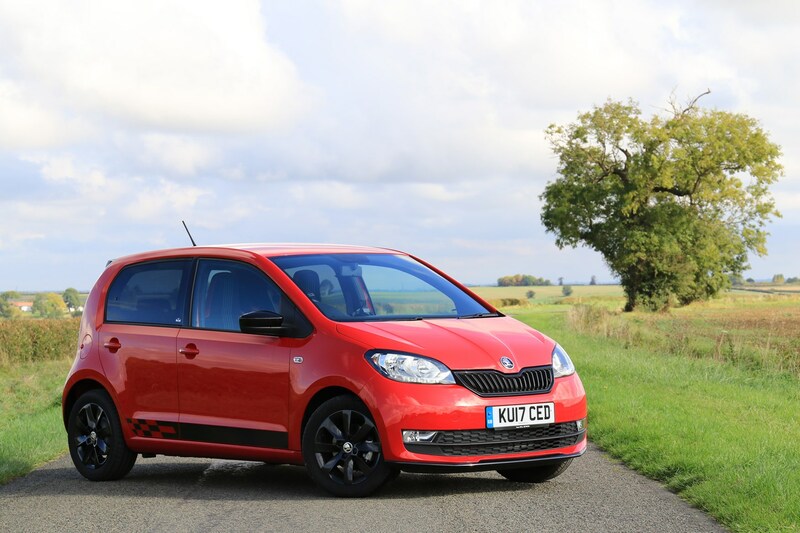 Skoda Citigo – It can look quite dull lower in the range, but Monte Carlo trim looks really smart with sportier add-ons. Overall it’s a neat and tidy design, but mostly inoffensive. There’s a good selection of colours that can be replicated inside, but this is the most sensible-looking here, especially in SE trim. Citroen C1 – There's funky Citroen lighting up front and contrasting roof colours available, which help to make it look up-to-date, even though it’s the oldest car in this test. It still looks fresh, but not as appealing as the Kia or Skoda when it comes to class or overall appeal. it's the only one available with a big canvas soft-top, though. 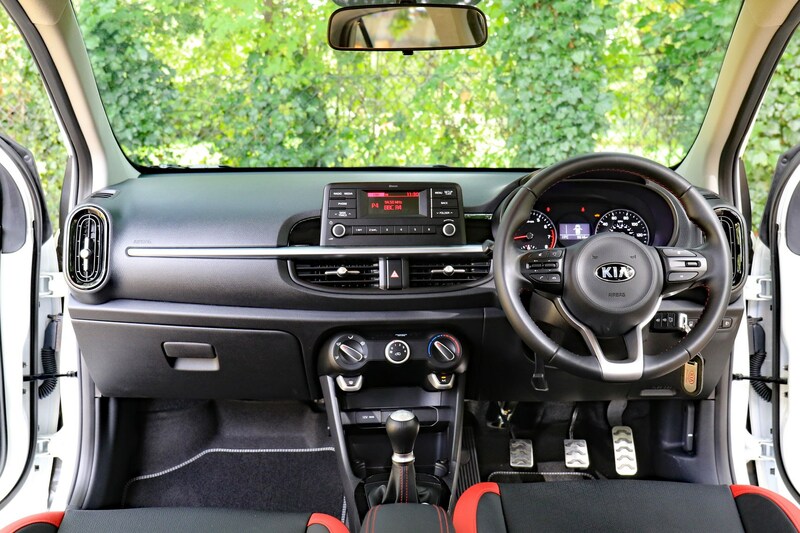 Kia Picanto – The Picanto looks the highest quality inside at first glance, but some plastics are disappointing. Everything’s easy to operate and it's all solid, plus it looks and feels like it should be in a bigger car. Space is good, but it’s quite a dark cabin in GT-Line trim. 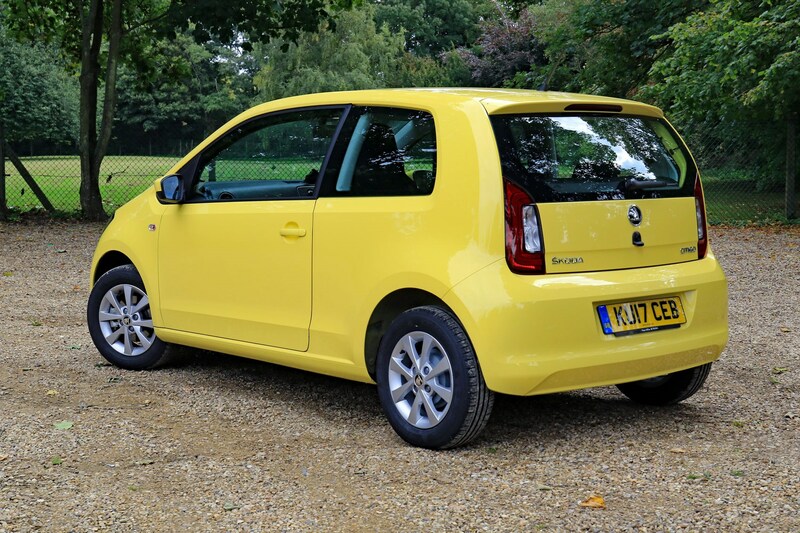 Skoda Citigo – Best here for quality, but SE spec feels incredibly sparse and grey. The radio is most appealing to use with crisp colour screen, but otherwise it’s fairly dull, apart from the bits of body colour on the doors. It feels bright and spacious with big windows and good use of space, just very forgettable. Or you could go for a Monte Carlo, which adds colourful trim, sportier seats and a body kit, much like the Picanto GT-Line. 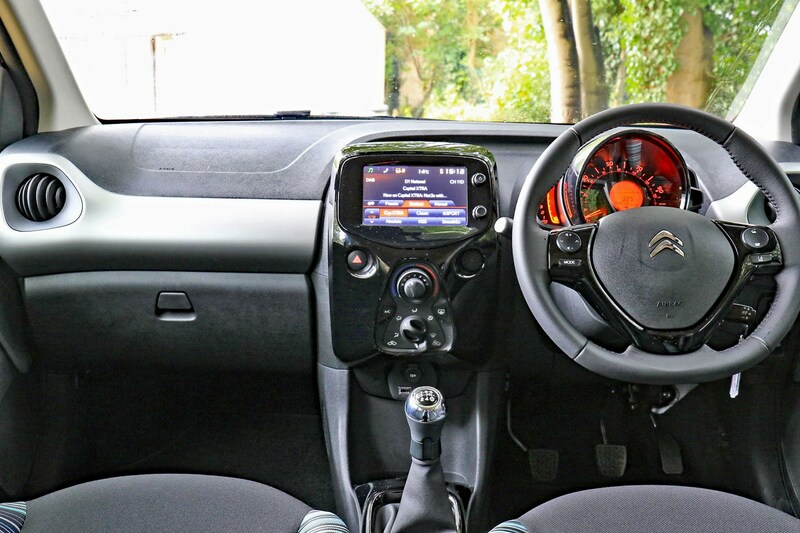 Citroen C1 – The C1 has the least impressive interior. While it’s more interesting to look at than the Skoda’s, quality isn’t great and the infotainment set-up looks a bit aftermarket, even if it’s the only touchscreen in this test. It’s practical though, with a glovebox bigger than the larger C3 supermini's. Kia Picanto – The only four-cylinder engine here, the Picanto’s 1.25-litre engine produces 84hp. It doesn’t feel hugely quicker than the Citigo and C1, but it’s the most refined at speed and best suited to motorway trips. It’s still nippy around town, but lacks the character of the other two. Still, the gearbox is very slick and it’s good fun to chuck into bends thanks to quick steering and good body control. The ride is the firmest here, though – those GT-Line wheels aren’t helping matters. 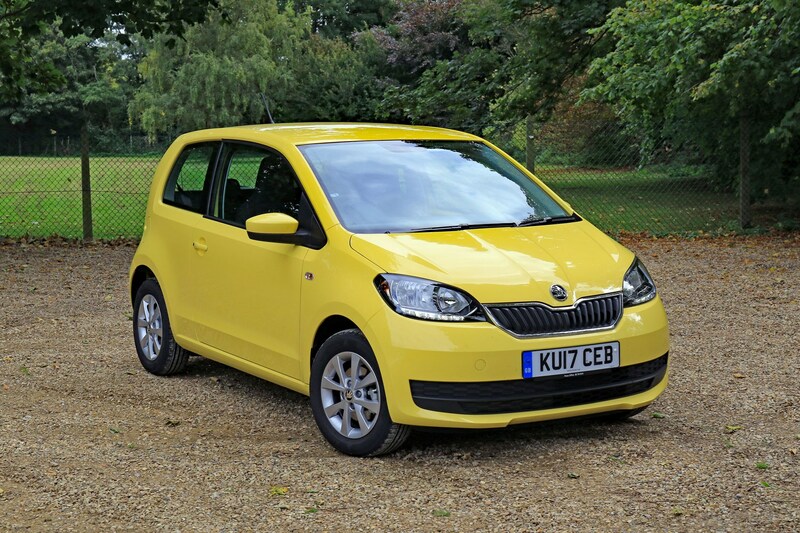 Skoda Citigo – With just a 60hp 1.0-litre under the bonnet, the Citigo is actually a lot of fun to extract power out of. The growly three-cylinder is great to listen to, and it feels light on its feet. What makes it more enjoyable around town is that it rides very well, so it doesn’t feel crashy and uncomfortable. It can feel a bit out of its depth on the motorway, but only when you’re trying to overtake. Otherwise it’s remarkably civilised and refined, and if you want more pace there’s a 75hp version. 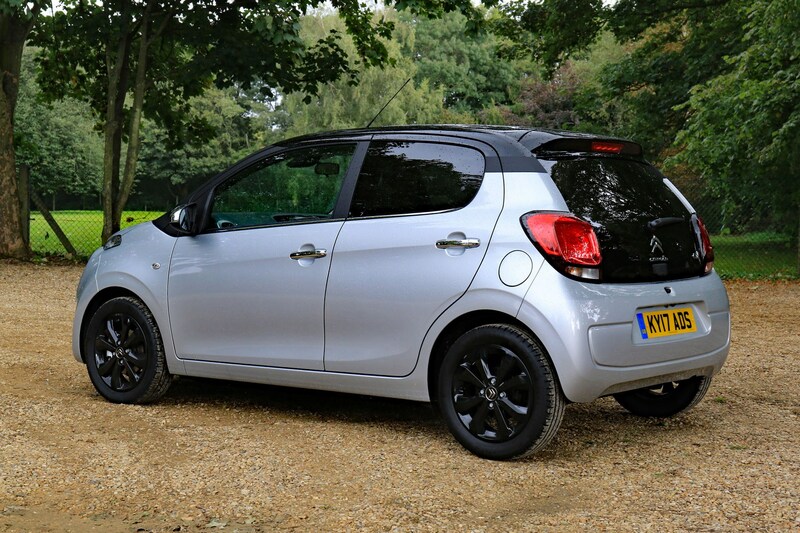 Citroen C1 – The 82hp 1.2-litre PureTech engine in the C1 is the best here, with good noise insulation that makes it pleasant to drive longer distances in, however it’s not quite as refined as the Picanto. It feels eager and punchy and makes the C1 really enjoyable to drive in and out of town, helping to claw back some ground from the other two. Not much at all. 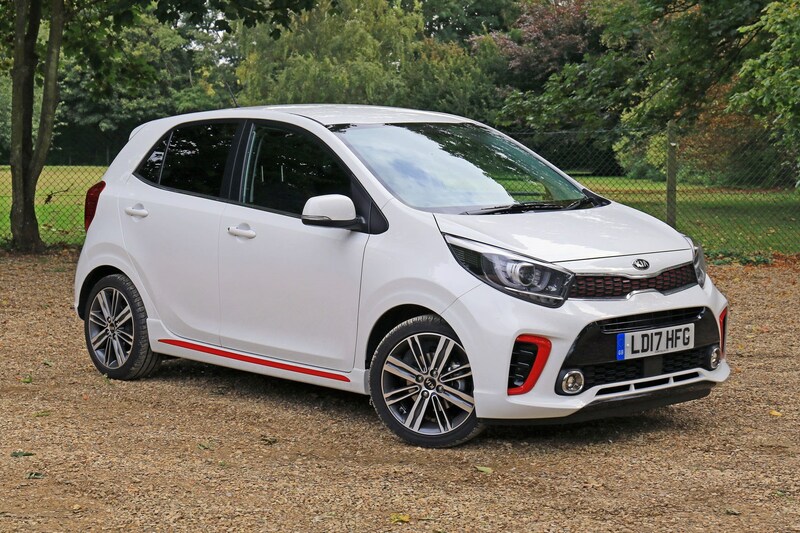 All manual versions of the Kia Picanto return over 60mpg claimed fuel economy, while the automatic returns around 52mpg according to Kia. The Skoda betters the Kia, with up to 68.9mpg claimed economy achievable for eco-focused Greentech models which come with stop-start technology, with lower-powered versions of the Citroen matching this figure. 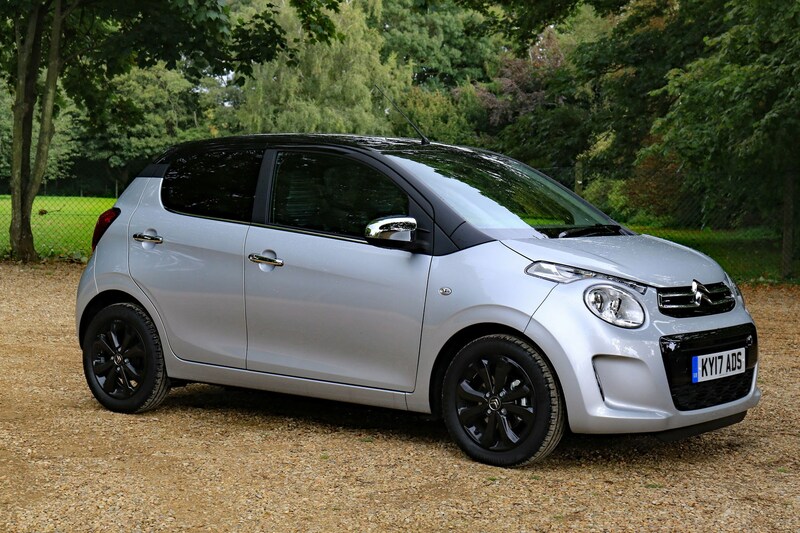 Insurance costs will be important to city car buyers, and it's the Citigo that comes out on top here, sitting in insurance group two for most of the range, but only goes up to four at its worst. The Citroen ranges from group six to 12, and the Kia from two to six. 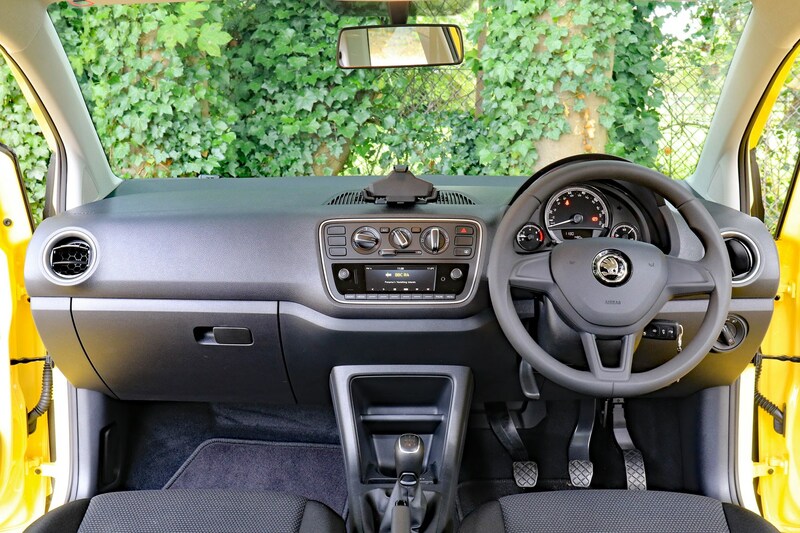 The Skoda Citigo remains one of the best all-round city cars thanks to a user-friendly, good-quality interior and grown up driving experience. SE models feel a bit sparse inside, but choose a sportier-looking Monte Carlo (below) and you get something with real kerb appeal and a more appealing interior. It’s also enjoyable to drive on a country road, and there’s genuine space for four. The Picanto runs the Citigo very close, but falls short on character. The aggressive looks of GT-Line trim and the pleasant interior boost its appeal, but quality doesn’t quite match the Citigo and it doesn’t feel as spacious inside. It’s great to drive though, just not quite as polished as the Skoda as an all-rounder. Third place doesn’t mean the C1 is a bad city car - it’s more a case of going up against excellent competition. The engine in the C1 is the best here if you regularly venture out of town, and it still looks distinctive enough to keep up with the other two. It’s not as spacious, though, and the interior lets the side down in terms of quality and ergonomics.